In the morning I went to get two shots. Mommy and Daddy have me on a shot schedule where I go every month instead of every other. The good part of this is that I get weighed and measured too so then we can all feel good about well how I’m growing. But yesterday, they skipped that good part and went straight to the shots. In both legs. Then, while the shot was going in and I was crying, Mommy saw in my mouth that I have another tooth coming in! So for the rest of the day, I was really not myself. Of course, I was still pretty good, but I just needed Mommy and Daddy to hold me more often. Snuggling with them makes me feel all better, even if I’m in pain. 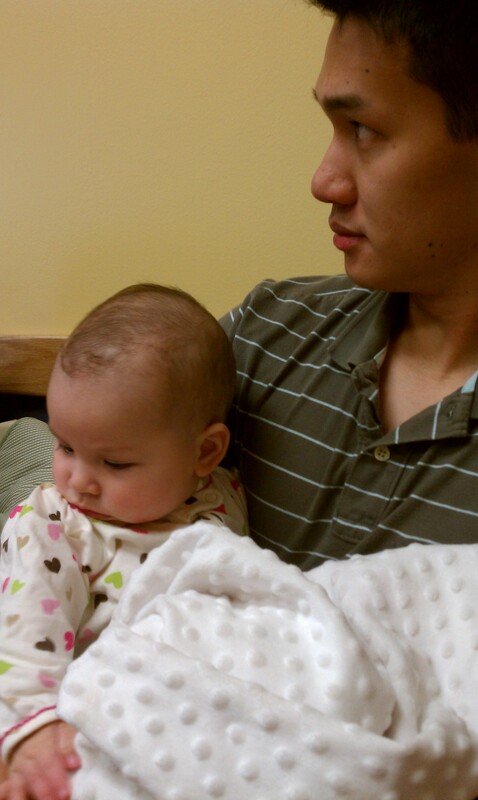 Here I am with Daddy after the shots! 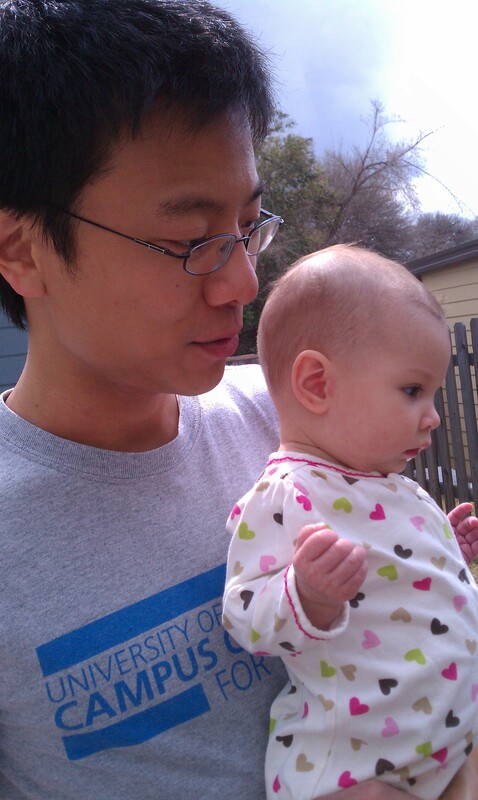 Later, I felt well enough to hang out with Uncle Andrew! 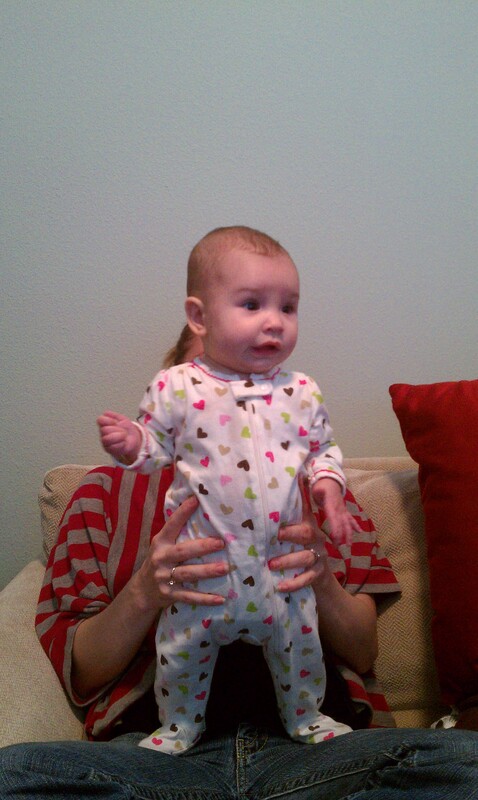 And to practice my standing!